The easy part of writing weaknesses is fixing them. The hard part is figuring them out to begin with. The best approach (as with so much of writing) is a combination of instinct and logical analysis. A writer’s instinct is a powerful–almost infallible–thing. Our innate story sense will rarely steer us wrong. It knows when a story isn’t working, and it knows why it isn’t working. The trick is learning to interpret what it’s telling you. Whenever you have a nagging sense something’s wrong with a story, listen to it. Sometimes these dictates will be about problems specific to just one story rather than universal writing weaknesses found in all your stories–but the subconscious niggles telling you “something’s wrong” are always worth pursuing. No one knows your strengths and weaknesses better than you, so tap into the source right from the start. Our writing weaknesses are usually the result of certain underdeveloped writing muscles. We’ve never gotten around to strengthening them for same reason we’ve never used that treadmill we bought several Januarys ago–it’s just too hard and unappealing. When trying to narrow down your subconscious nigglings to identify your faults, take a moment to consider the aspects of writing a story that you don’t really like. Do you hate beginnings? 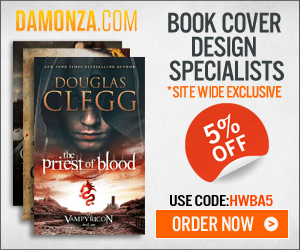 In years past, I wrote many a post about how I found the first fifty pages torturous. Guess what? Beginnings were one of my writing weaknesses (and something I still have to consciously focus on more than other aspects of the story). 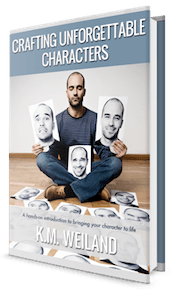 Are your antagonists one-dimensional? Do you summarize all your fight scenes? Do you avoid setting descriptions whenever possible? If so, then these aspects are very likely the result of some pretty emaciated writing muscles. Every story will present its own challenges, so something you struggle with in any one story isn’t necessarily a personal writing weakness. But when the same problem starts cropping up in multiple stories, you know you’re probably looking at something that needs to be addressed on a larger scale. Consider the last several stories you’ve written. Write a list of all the things about them you’re not quite satisfied with. Write a list of the aspects that were difficult for you in each story. Which part of each story did you spend the most time working on? When you’re finished, analyze the lists. Are there any common elements from book to book? Chances are good that what you’re left with are the weaknesses that belong to you as a writer and not just to any particular book. We all know that objectivity about our own work is darn near unattainable. As important as your own story sense is, don’t rely on it exclusively. Call in back up. 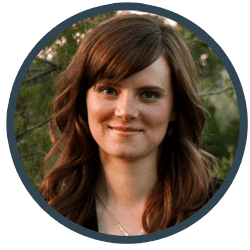 Analyze the critiques you’ve received from beta readers, critique partners, and editors–especially those who have read more than one of your stories. Seeing any patterns? It can be difficult to be objective even about someone else’s feedback on your stories, so don’t be afraid to ask them straight out. Their answers may surprise you–and will certainly educate you. Again, you’re looking for patterns, so when more than one person tells you your characters’ motivations are weak, that’s the time to listen up. I know my weaknesses. Plot is still a challenge, but dialog comes easily. Character development is cake, but I sweat blood about describing setting and folding descriptions into action to move the story along. I’m a terrible speller and a bit inventive with grammar, so I have to spend extra time on those, too. If you are published, then you can find an extra dose of interesting insights into your writing weaknesses by paying attention to reader reviews. Granted, this can be shaky ground, since readers bring their own extremely subjective opinions to the plate. But whenever you start seeing a common thread in negative reviews, that’s when you know you should probably take a step back and consider where disgruntled readers are coming from. Don’t be ashamed of or embarrassed by your writing weaknesses. Don’t run from or ignore your weaknesses. Don’t try to write your way through the hard scenes as quickly as possible to get back to what you’re good at. Do consciously approach your weak areas, instead of just trying to “wing it” when the time comes. Do create a battle plan for attacking your weaknesses by sitting down with paper and pen and deliberately figuring out how to strengthen these areas in your next story. 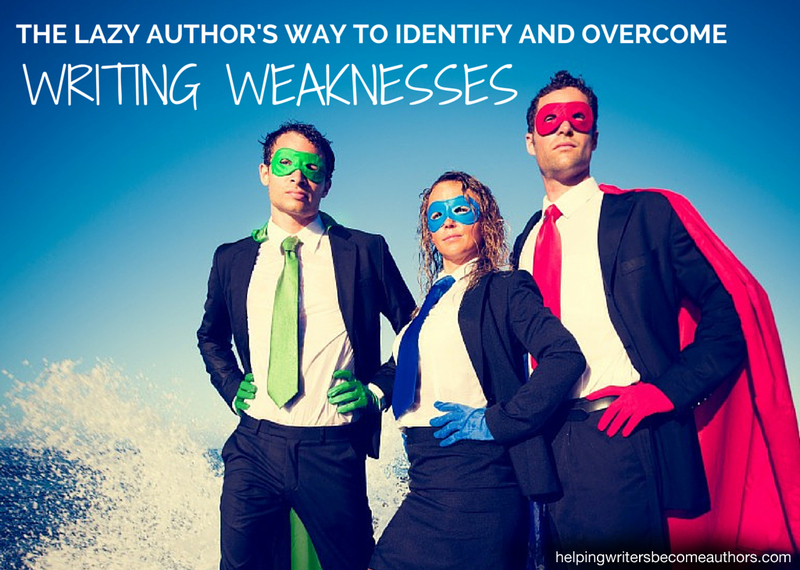 Identifying your writing weaknesses is, surprisingly, an incredibly exciting process. Instead of floundering around in the dark, knowing “something” is wrong, you can take control of your writing. And once you’ve conquered this batch of writing weaknesses, you get to repeat the whole energizing process all over again! Tell me your opinion: What are your writing weaknesses? What are you doing to overcome them? No doubt I have many but two areas I’m focusing on right now are Show vs. Tell and redundancies. Show vs. Tell is a whole bunch more complex than you’ll see anyone comment on or write a blog post about. A British writer-friend of mine is writing a book just about show vs. tell, and I’m dying to read it. For example, most people think that narration is always telling, but it’s not. A “simple” thing like word choice in a passage of narration can convert it from tell to show. I think I make the right decisions about which parts of the story need to be actual scenes, and which don’t, but I have a tendency to explain too much, which is a version of telling not showing, in my opinion. As for redundancies, I sometimes use extra words intentionally, e.g., for the rhythm of the sentence, or because it’s the character’s way, but many of those suckers escape me because I don’t always recognize them. And now that my first novel will be available for sale in February, I’m putting on my flack suit and arming myself for the criticism, some of which will be more than justified, I’m sure. I’m looking forward to those criticisms. However, some criticism will come from the controversial premise of the novel itself (three women conspire to kill pedophiles.) I suspect some people will think I’m advocating what the women do. And I’ve just noticed a third weakness…using “some” too much! Constance Hale (SIN AND SYNTAX) will hate me! Hah. Sounds like you’re on the right track. You have a conscious awareness of your weaknesses and you’re taking definitive steps to overcome them. Hello! I’ve been stalking this site for many months now and I’ve finally just decided to start commenting. This site is my favorite writing blog. One of my major weaknesses that follows me from story to story is that I have no clue how to describe settings, objects, or really anything. I have very little description in my stories because of this, because I’m so terrible at it. I finally recognized it as my weakness about a month ago, but it’s difficult to add in description when you can’t form the picture of that extremely vivid place into words. Right now in my story I’m attempting to describe an exotic location by writing about it in a poetry-like style first. It has helped a little bit, but not a ton. I think I might also pick up this strategy I’ve heard about, which is bringing a little notebook wherever you go and when you have a spare second, describe everything you see. I just need a LOT of practice woth description. Thanks for commenting! I’m so glad you’re enjoying the blog. You’re totally on the right track. Pay attention to the descriptions you like in other people’s books. Maybe even go so far as to copy them out by hand to a get a sense for how they’re constructed. Then pay conscious attention to the descriptions in your own writing. Claudia, one tip that may help: Specificity is more important than quantity. Sometimes if you focus on one particular distinguishing image–say, a crack in the upper left-hand corner of the window shaped like Elvis Presley–the whole room comes to life. The thing about this journey I like the most. Every challenge is a fun in itself, and all of those challenges can easily be tackled. By just pen and paper and you, you can do all your work. I currently have many writing weaknesses, I am struggling with grammar, has way too much of inconsistencies, I can write thousands of words of internal monologue but avoid action at all costs. The last one can be exploited as a strength though. But, to summarise, I am way down the road of this journey and that is humbling. But when I do get some success, I know accepting it is bound to get harder. You’re very right: there are few vocations on this earth more humbling than being a writer. But humility is a good thing, so it’s all worth it in the end! Awesomesauce! Here’s to crunching that writer’s block! I really pay attention to what my critique partners tell me, and if I notice patterns in what they say, I listen and self-analyze. Knowing ones own personality and your own limitations is key. The better you know yourself, the better you’ll be better able to know how to fix your writing. It really is all about patterns. When we keep hearing the same thing over and over, that’s always a sign that critters are probably on to something. We all want to become better writers. Figuring out our weaknesses is a practical first step on the road to that goal. My major weakness with my first novel was I repeated myself way too much. The main weakness I have been fed back with on the second was that I didn’t develop the protagonist enough. However, the big weakness with both is the fact that I’m the world’s worst typist and in spite of proof readers, quite a few errors got through. Repetition and typos are both relatively easy fixes – since they’re just about repairing the obvious damage. Character development is more difficult and time-intensive, but knowing there’s a problem is always the place to start. Some readers love oodles of description; others skip over it. Might be genre-related, too, e.g., historicals tend to contain more description, I think. I’m reading Alan Cheuse’s short story collection, AN AUTHENTIC CAPTAIN MARVEL RING AND OTHER STORIES, and I like the way he uses description very much. You might check it out. As for my own writing, my descriptions are sparse but I’m told there’s still enough there to allow the reader to visualize the scene, and I think that’s a key guideline nowadays, i.e., enough to visualize but not so much that your target audience will skip it. The one time my beta readers said they couldn’t visualize a scene was the time when I had the geometry of the scene wrong…so my critique group and I acted out the scene. I changed an ordinary bed to a four-poster bed (which tends to be taller than an ordinary bed), and the scene was then visual. 8. make the description match the tone of the scene (scary scene? don’t use words like ‘dance’). That’s all I can think of off the top of my pretty little head (not so little and not so pretty). Great points – especially #1. Good description is all about the “telling detail.” We need to find that just-right detail that will the readers to bring the scene to life in their own imagination. They take over form there. This was the best timing ever! I hugged my tablet when I read this. YAY, I can fix my story! I’m not a moron, just a learner–and learning is half the battle… GI Joe. I think the worst thing any of us can do is believe the negativity that we’re stupid or untalented. I am often amazed at the huge improvements from story to story in hte authors I occasionally critique. All we need to fix the flaws is the tools to do the job. We’re *all* learning, and that’s half the fun! • Character introduction; some characters appear out of nowhere. Swift battles don’t always make for the best reading, but the good news is that they are, as often as not, more realistic! ‘Yea!’ Robert said as the bell rang for him on being a weak writer. Then he fell silent. ‘Oh,’ he exclaimed, ‘but I do have an unread copy of James Scott Bells book!’ Perhaps it’s time to read it, he thought. Jim’s advice is always stellar! I have a hard time with things like this — I sometimes feel like every aspect of writing is my weakness. I’ve been rewriting a story of mine I wrote when I was younger. It had such a weak plot and I’m trying to work on that…I think some of my weaknesses include beginnings (I always feel like they don’t start with enough of a “bang” or I include too much info, etc.) and describing settings. I always just want to dive right in to the dialogue and action and not worry about settings, or I include too much back story in the first few chapters and it’s just over-kill. Who wants to read a book that starts like that? So yeah, this article is very interesting and helpful (as always), so thanks. In the beginning, it can be a little overwhelming. Try focusing on just four or five of the major problems to start with. Another post that hits really close to home. My weaknesses are deep POV and self-editing. I spend a great deal of time with both of those as part of finishing a book. I have high lighters in multiple colors thanks to Margie Lawson. I read through and tag every time I step out of deep POV. Now that I’ve done this for a while I’m starting to recognize when I jump out of deep POV and can fix it during drafting. You go! This is exactly the sort of conscious process that will help you conquer those weaknesses – and maybe even turn them into strengths! thanks again for the great advice! i’m only on my second book, but i can already see myself skimming through setting descriptions & romantic scenes, & fight scenes as well. one thing i’ve started trying to do for all of the above is to focus on the 5 senses – sight, smell, sound, taste, touch… not ALL 5 in every case, of course, but at least for me, it seems to help me linger more on description & stay in the moment longer before speeding past the scene. It is worthwhile to note that when we find ourselves uninterested in writing certain scenes, it’s not always because we’re not adept at them. Sometimes it’s the subject matter that just plain doesn’t interest us. So when we find ourselves consistently skipping romance and fight scenes, it’s worth asking whether or not we actually care about these things enough to put them in our stories. This article gave me some interesting insight. I was already using a couple of this approaches. Instinctively I know when something isn’t quite right in a scene or a moment in the story. My critique partners will nail it every time. I’m learning to listen to that little ‘voice’. I didn’t realize that other published writers would struggle so hard. That was an eye opener. I enjoyed the tips. Needed those. Very informative. That you! I think it’s a tendency of writers to think they’re alone, since, after all, we do have to do all our thinking and writing by ourselves. But we share the process with so many other people, and most of them are struggling and doubting just as much as we are. I agree! The online writing community is an amazing place full of some very amazing people. I’m honored to be a part of it.